As we hinted previously, Antenna TV will have a marathon of Christmas episodes on Christmas Eve and Day and then a marathon of Burns & Allen and Jack Benny Program on New Year's Eve! Spend the holidays with your favorite sitcom stars as Antenna TV, Tribune Broadcasting's multicast broadcast network, airs a full weekend of holiday episodes on Christmas weekend, and a Burns and Allen Show and a Jack Benny Program marathon on New Year's Eve. 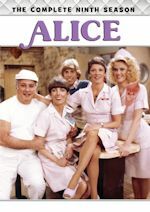 Antenna TV, which airs on 52 affiliates across the U.S. reaching 57% of TV households, will feature a weekend of holiday programming beginning at 1pm ET on Saturday, December 24, 2011 and running through 11pm ET on Sunday, December 25, 2011. Programs include holiday episodes of: The Burns and Allen Show, Father Knows Best, Dennis the Menace, Hazel, The Flying Nun, McHale's Navy, The Monkees, The Partridge Family, The Monkees, Dragnet, Here Come the Brides, Adventures of Rin Tin Tin, The Nanny, Married...with Children, NewsRadio, Good Times, Sanford and Son, Too Close for Comfort, Three's Company, All in the Family and Maude. And if that's not all, watch The Yule Log from 3-7am ET bright and early on Christmas Day! View the complete schedule for the Christmas episodes on Christmas Eve and Day (scroll down below the regular schedule). On New Year's Eve, Antenna TV will ring in 2012 with a Burns and Allen Show and a Jack Benny Program marathon (34 episodes/17 hours.) Beginning at 3pm ET on Saturday, December 31 and running through 8am ET on Sunday, January 1, the Burns and Allen episodes will feature the top rated episodes and the Jack Benny episodes will feature celebrity guest-star episodes like Lucile Ball, Bob Hope, and Carol Burnett! The marathon will have an episode each in an hour, so for example Burns and Allen Show at 3pm, followed by Jack Benny Program at 3:30pm, and then back to Burns & Allen at 4pm, and so on. Then on New Year's Day when the marathon is over by 8am ET, watch The Three Stooges all day on the first day of the year from 8am-12am ET! More info on that will come soon, as episode info is not available yet. For now, view the full New Year's Eve schedule of episodes for Burns & Allen and Jack Benny (scroll down below the regular schedule). Antenna TV has some good stunts and surprises planned for 2012, so you'll want to keep it right here for the up-to-date news and schedule! Can't believe Antenna TV will be on the air a year by Jan. 1. GSN (Game Show Network) announced recently that it has acquired the exclusive off-network rights to ABC's Dancing with the Stars from Disney-ABC Domestic Television, which will make GSN the only network on which previous seasons of the mega-hit dance competition can be seen. GSN has acquired seasons 4 through 13 (season 13 just finished last week on ABC), and will begin airing them in January 2012. The agreement also includes the upcoming 14th season that starts in March on ABC. Dancing with the Stars episodes on GSN will feature a wide variety of celebrities who have brought glamour, humor, and even some lively controversy to the show - including Chaz Bono, Bristol Palin, Kim Kardashian, Cloris Leachman, Susan Lucci, Tom DeLay, Kate Gosselin, David Hasselhoff, Laila Ali, Joey Fatone, Lance Bass, Michael Bolton, Florence Henderson, Jennifer Grey, Wayne Newton, Marie Osmond, Donnie Osmond, Melissa Joan Hart, Mel B, Shawn Johnson, Kelly Osbourne, Pamela Anderson, Nancy Grace, Ricki Lake, J.R. Martinez, and Kirstie Alley, among many others. The first season (the fourth season) of Dancing with the Stars to air on GSN features a diverse cross-section of celebrities from television, movies, music, sports, fashion and society, each paired with a professional dancer. Dancing with the Stars was last seen on cable on BBC America in early 2008 back when they aired season two with stars like Drew Lachey, Stacey Keibler, Master P and Kenny Mayne. No word if they hold the rights to seasons 1-3, but GSN doesn't have the rights to those seasons, so we won't see stars like Mario Lopez, Emmit Smith and Kelly Monaco. Stay with us for more information, such as the GSN premiere date and regular air times. Stay tuned! I Hate My Teenage Daughter is a new multi-camera family comedy starring Jaime Pressly and Katie Finneran as single moms, best friends – and former nerds – who fear their privileged and overly indulged daughters are turning out just like the mean girls who picked on them in high school. Annie (Pressly), who was raised in an ultra-strict, über-religious household where she had little-to-no freedom, pretty much allows her daughter, Sophie (Kristi Lauren), to do whatever she wants. Annie's best friend Nikki (Finneran), once an unpopular, overweight social pariah, is now a pretty Southern belle who also allows her daughter, Mackenzie (Aisha Dee), to do as she pleases. The moms have given the girls everything they’ve asked for and everything they never had: clothes, money and self-esteem. The unintended consequence is that they have created two mean girls just like the ones who tortured them years ago. 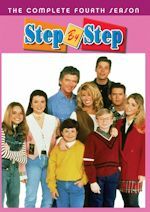 The series also stars Eric Sheffer Stevens as Annie's ex-husband Matt, who wants to be a good parent, but doesn't know what that even means; Kevin Rahm as Matt's brother Jack, a father figure to Sophie whose meddling would annoy Annie more if she didn't have such a crush on him; and Chad L. Coleman as Gary, Nikki's ex-husband, who also tries to help raise his challenging daughter, but the couple's complicated relationship often makes his involvement more difficult. As their daughters begin to experience their first high school dances and other life-changing teen events, Annie and Nikki are often reminded of their own tortured adolescent years. But when Sophie and Mackenzie's mean-girl antics cross the line, the moms quickly realize that they must, for the first time, dole out some real punishment and fix what is broken. They have no idea how to do that, but they do know one thing: They can't do it without each other. I Hate My Teenage Daughter is produced by Bonanza Productions, Inc. in association with Warner Bros. Television. Sherry Bilsing-Graham (The New Adventures of Old Christine, Friends) and Ellen Kreamer (The New Adventures of Old Christine, Friends) are executive producers. The series is written by Bilsing-Graham and Kreamer. Andy Ackerman (Seinfeld, The New Adventures of Old Christine) executive-produced and directed the pilot. Jaime Pressly's (Annie) beauty, talent and natural screen presence have earned her a place among Hollywood's elite. Best known as the feisty "Joy Turner" on My Name is Earl, she won the Emmy for Outstanding Supporting Actress in a Comedy Series in 2007. She also received a Golden Globe and a SAG Award. Pressly's film credits include I Love You, Man, Not Another Teen Movie, Ticker, The Adventures of Joe Dirt, Tomcats, Ringmaster and Can't Hardly Wait. She will next be seen in The Oogieloves in the Big Balloon Adventure and 6 Month Rule. Her television credits include Jack and Jill, the made-for-TV movie Evel Knievel and Happy Family. A seasoned theater actress, Katie Finneran (Nikki) received Tony, Drama Desk and Outer Critics Circle Awards for her performance in the recent Broadway revival of Promises, Promises as well as Tony, Drama Desk and Outer Critics Circle Awards for her performance in the Broadway revival of Noises Off. Her film appearances include Baby on Board, Broken Bridges, Firehouse Dog, Miss Congeniality 2, Bewitched, You've Got Mail, Liberty Heights and Night of the Living Dead. Finneran's television credits include The Inside, Wonderfalls, Bram and Alice, Frasier and Oz. Kristi Lauren (Sophie) has had a passion for entertainment for as long as she can remember. With a love to make people laugh, she has participated in various improv shows at the Raven Playhouse and at the prestigious The Second City. The 17-year-old's television credits include Working Class and Wizards of Waverly Place, and her film work includes You starring Melora Hardin and Joely Fisher. Aisha Dee (Mackenzie) has trained since a very young age in voice and all styles of dance, including Jazz, Tap and Classical Ballet. In recent years she has continued her dance training at Industry of Dance, where she worked with some of Australia's best practitioners. She furthered her studies at the National Institute of Dramatic Art in Sydney. After beginning her career in commercials, Dee was cast in the hugely popular international series The Saddle Club, a co-production between Australia's Crawford Productions and Canada's Protocol Entertainment. She then went on to do Skyrunners, which was shot on location in New Zealand. In 2009, Dee appeared in Dead Gorgeous, and also will be seen in TERRA NOVA. Upon completing his graduate degree at the University of Alabama/Alabama Shakespeare Festival, Eric Sheffer Stevens (Matt) pursued a career in theater, starring in the world premiere of Keith Reddin's play "Synergy" at the Alley Theatre in Houston. Sheffer Stevens' work on television first earned critical acclaim on As the World Turns in which he played neurosurgeon "Dr. Reid Oliver." The character's controversial storyline immediately became a fan favorite and garnered Sheffer Stevens widespread recognition. His other recent projects include Julie & Julia and guest spots on The Big C, Body of Proof and Law & Order: Criminal Intent. Kevin Rahm (Jack) was most recently seen as a series regular on Desperate Housewives and as a recurring character on Mad Men. His other TV credits include The Mentalist, Three Rivers, CSI: Miami, Without a Trace, CSI: NY, Grey's Anatomy, Friends, Ally McBeal, Jesse, Everything's Relative, and Judging Amy. He has appeared in the films Route 30, Alfie, Nurse Betty and several other independents. Chad L. Coleman (Gary) won critical acclaim for his portrayal of "Dennis ‘Cutty' Wise" on the Peabody Award-winning drama series The Wire. His other television credits include Lie to Me, The Good Wife, It's Always Sunny in Philadelphia, Terminator: The Sarah Connor Chronicles, New Amsterdam, The Forgotten, CSI: Miami, Life on Mars, Numb3rs, Hack, Third Watch, Law & Order: Special Victims Unit, Law & Order and New York Undercover. Coleman's film credits include Horrible Bosses, Green Hornet, The Guilded Six Bits, Brother to Brother and Carlito's Way: Rise to Power. He will next be seen in the independent features Confessions of a Call Girl and Life, Love & Soul. "Pilot" - After Sophie (Kristi Lauren) and MacKenzie (Aisha Dee) lock a student in the school bathroom, Annie (Jaime Pressly) and Nikki (Katie Finneran) must punish their daughters by not allowing them to attend the school dance. On the night of the dance, the mothers try to hold firm on their decision, despite the girls’ best efforts to derail their punishments, while the fathers make the situation worse. The second episode was also available for review. It airs on Wednesday, December 7 at 9:30/8:30c. "Teenage Family Night" - In an effort to reconnect with the girls, Annie reinstates an old tradition of "Family Night," even though the adults are all now divorced. Of course, nothing seems to go right. The girls try to escape, Nikki becomes outraged when she learns that Gary (Chad L. Coleman) is dating someone new and Annie is thrown when Jack (Kevin Rahm) shows up with a hot date. In the "Pilot" episode, Annie and Nikki are talking about two people and in walk their daughters. Annie says they are mean to them and Nikki says she hates them. Annie makes some french toast for Sophie and asks her to change her clothes to something more appropriate. Nikki tells Gary that he wants Mackenzie to go to the dance in a limo. The next day the moms go to the school to talk to the principal Ms. Diego. They learn that the girls locked Gerard Thompson, a student in a wheelchair, in the girls' bathroom. Annie talks to her ex-husband Matt about Sophie. His brother Jack also joins the conversation. Later that night at Nikki's house, the moms and daughters argue for several hours. Gary and Matt come to the house after receiving some texts. Jack gets some texts from Nikki and brings her some pies. Sophie apologizes to Annie and they leave to go home. After Annie discovers that Nikki allowed Mackenzie to go to the dance, she decdies to let Sohpie go as well. When they discover who Gerard Thompson really is, they decide to punish the girls at the dance. In the second episode "Teenage Faily Night," Nikki looks at Mackenzie's Facebook page and talks to Annie who also finds Sophie's account. At the coffee shop, the adults talk about their daughters. Annie suggests they have a Family Night to try to reconnect with their daughters. She invites Jack to the night as well. Annie confiscates their cellphones in a bowl. Nikki becomes upset when she learns that Gary is dating again. The daughters are bored and manage to escape, but Annie brings them back to the house. A bass player for Matt's band arrives to audition. Jack shows up with his hot date Dominque. When she thinks she's alone in the kitchen with Nikki, she expresses that she has feelings for Jack. Fox hasn't had many multi-camera sitcoms on their lineup in recent years, so it's nice to see them give another one a try. This is pretty typical sitcom fare. The pilot is fast-paced with many different scenes and one liners. There are references to Full House, Little House on the Prairie and Dirty Dancing. Wendy McClendon-Covey is funny in her few scenes as Principal Diego. I believe Rosa Blasi played the role in the original pilot, but they reshot it. The final scene at the dance is probably the highlight of the episode. It can be unusual when the pilot episode is better than the second episode, but I think that's the case here. The second episode focuses more on the adults, with the daughters only minimally involved. There are just fewer laughs. It's a bit more serious of an episode in tone. I think they need to have the right balance of scenes with the parents and daughters like in the pilot. The show could also benefit by having some flashback scenes with Pressly and Finneran. They have some guest stars lined up for future episodes that should be interesting. Guest stars will include Ryan McPartlin, Keegan Allen and Mark Consuelos in a recurring role as teacher-turned crush interest for Annie. It has been a banner year for new comedies on the broadcast networks. While I Hate My Teenage Daughter is enjoyable enough, it's really not at the same level quality wise as New Girl, 2 Broke Girls or Suburgatory. The comparison for this new show is Last Man Standing. Both of these shows are watchable, but they both have some room to grow after the first few episodes. There just really isn't much unique about it that really hasn't been done before and some of the jokes seem a bit predictable and forced. This show does have one big thing going for it with Jaime Pressly as the main star. It's a joy to see her on another comedy. She was so funny on My Name Is Earl and won an Emmy for her role. Pressly and Finneran appear to have some good comedic chemistry and have fun here. The rest of the supporting cast aren't really household names. I wasn't very familiar with them, but they do a decent enough job. Kevin Rahm is hilarious as Lee on Desperate Housewives, but he's really not given much to do here and his character isn't nearly as funny. I Hate My Teenage Daughter has a comfortable timeslot following The X Factor. It should be receive some good sampling the first few weeks. I don't think it will be a breakout or critical hit, but it should generate some respectable ratings. Fox has had mostly single-camera and animated comedies in recent years, so it's nice to see them give a chance to a traditional multi-camera sitcom. This show should be relatable to both parents and teenagers and provide some good laughs. If you are a fan of Jaime Pressly, you will definitely want to check this one out. This is clearly a vehicle for her, since she's in almost every scene. Discuss the show after you watch it on Wednesday, November 30 on our message board. Tyler Perry's For Better or Worse premiered on Friday (Nov. 25) and drew 3.4 million viewers for its launch on TBS. The original sitcom (well this time a dramedy) is the latest from writer-director-producer Tyler Perry and is based on his Why Did I Get Married? movies. The 10 p.m. premiere of Tyler Perry's For Better or Worse averaged more than 3.3 million viewers, with a demo delivery of 1.8 million adults 18-49. The 10:30 p.m. episode grew to more than 3.4 million viewers, while holding firm with 1.8 million adults 18-49. The series has a 10 episode order, but like the other Tyler Perry series, if it does well they will order a bulk of episodes. The season finale is scheduled for Friday, December 23. Tyler Perry's For Better or Worse centers on Angela Williams (Tasha Smith), the owner of a successful beauty salon, and her husband of 13 years, Marcus (Michael Jai White). Marcus is a former professional football player who has recently partnered with Richard Ellington (Kent Faulcon) and Joseph Jetson (Jason Olive) on a new sports news program called C-Sports Now. Marcus’s business relationship with Richard and Joseph is complicated, however, by the fact that Richard is dating Keisha (Kiki Haynes), Marcus’s ex-girlfriend and the mother of his teenage daughter. In addition, Joseph’s girlfriend, successful real estate agent Leslie (Crystle Stewart), is Angela’s best friend, which sometimes makes it difficult for the couples to keep their business and private lives from mingling. Tyler Perry's For Better or Worse is produced by Tyler Perry Studios and distributed by Debmar-Mercury. 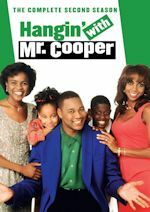 The series airs Friday nights at 10:00pm & 10:30pm on TBS following a two-hour block of House of Payne. Come on back tomorrow as we give you the complete information on Antenna TV's Christmas Eve, Christmas Day, New Year's Eve and New Year's Day marathons! Thanksgiving is done, Black Friday is done, and now all we have to wait for is the beginning of winter and Christmas. But wait! Before that, we've got several more weeks of Digital Digest to go, including today's edition! Today, we've got more news, a look at Tuesday's releases, and a review of Mission: Impossible - The '88 TV Season. Plus, we've got a few more Digital Bargains to tell you about this weekend. Let's get started! It seems like we have new online streaming news every week, and this week, Hulu is in the spotlight! 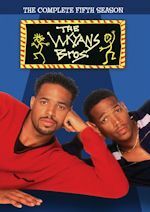 They've recently added some series including The Cosby Show, 3rd Rock from the Sun, Normal, Ohio, Grounded for Life, Davis Rules, Damon, Whoopi, and others to their streaming lineup. Unfortunately, in looking at The Cosby Show, it is clear that episodes of at least that show are syndicated versions of the episodes. It is unclear which, if any, other series are in their syndicated form. MPI appears to be moving ahead on Here's Lucy, with Here's Lucy - Season Five coming February 28 (although there is some indication that this date may be incorrect). Additionally, the third season of My Favorite Martian, which was abandoned by Rhino and picked up by MPI, is reported to be coming in spring 2012, but full details are not known yet. We're bringing you another edition of Digital Bargains this week, because the Black Friday deals aren't over yet! We'd definitely refer you to last week's Digital Bargains for details of the ongoing (but not for much longer, most will end TODAY) deals, but we have a few updates and additions for you today. We begin with Best Buy. As it turns out, there are many great deals there that weren't even reported last week, including some $3.99 season sets! There isn't a whole lot among these, but the highlights are 8 Simple Rules - The Complete Second Season, According to Jim - The Complete Second Season, and According to Jim - The Complete Third Season. At $3.99 per season, there is no reason to pass these up! And the recent Sony complete series sets are dirt cheap too at Best Buy, with Married... With Children - The Complete Series and King of Queens - The Complete Series coming in at $26.99 each! These are all extraordinary deals, with tons more to be found in stores. Of course, we also mentioned last week that Big Lots advertised some $6 DVDs for Thanksgiving Day, but those are still in stock at many stores. For the most part, it is all a repeat of last year's deals. In fact, I found nothing new at my local store, just new stock of last year's items. But if you missed out last year, you have another opportunity now to pick up some of these series. Finally, we would like to mention a deal that we missed last week, and it is one worth looking in to. Shout! Factory is offering all of their DVDs direct-to-consumer Shout! Select DVDs at 20% off. It is almost unprecedented for them to offer any discounts on these, so if there are some titles that you wanted from that collection, now is the time to get them! The prices are good through November 28, 2011. Don't forget, Cyber Monday is coming up, where online retailers will pull out their big deals! Unfortunately, we aren't privy to what these deals will be, and we won't be able to report on them for you here (since Digital Digest won't be back until after they are done), but check out all of the online retailers on Monday, because you may find some great surprises! Tuesday (November 29) has two sitcom releases, with 30 Rock - Season 5 and Hot in Cleveland - Season Two. You can read our reviews here and here. Additionally, we have the DVD debut of Mission: Impossible - The '88 TV Season. We have a review of this set today in Digital Digest. In the 1960s, Peter Graves starred as Jim Phelps in the series Mission: Impossible, a classic series that continues to have a legacy to this day. And to complete that legacy, the series, like many other series from the 60s, was brought back for a reprisal in 1988 (thanks to a writer's strike where ABC wanted to create a program that recycled old scripts), with Peter Graves once again playing the role of Jim Phelps. With his protégé being murdered in the line of duty, Phelps is determined to do whatever it takes to find the murderer, even if it means coming out of his retirement. And so he does, along with a new team of IMF agents, to take on a series of new missions that seem impossible. It doesn't take long to find the murderer, but with Phelps now comfortable in his new job, he decides to continue with the IMF. The series beings with "The Killer," where Jim Phelps is prompted out of retirement after his protégé is murdered. The team tries to turn a high-profile mobster against his boss in "The System." In "Holograms," the team tries to extradite an international drug lord. The team works to free a former IMF agent who was wrongly imprisoned for murder (and scheduled for execution) in "The Condemned." The grandsons of four Nazi officers attempt to create the Fourth Reich in "The Legacy." An international chess tournament is a perfect ruse for IMF agents to get three people in "The Pawn." In "The Haunting," Jim has a hunch as to who is responsible for a string of murders in the US. The IMF has to stop a battle to the death between a prince and his uncle (this almost sounds like The Lion King) in "The Lions." The IMF is out to stop a Greek tycoon running a black market drug ring in "The Greek." In "The Fortune," the team has to locate stolen money from a dictator who sought asylum in the United States. There are rumors of a former spy starting his own chemical weapon manufacturing process in "Spy." In "The Devils," the IMF investigates a series of murders surrounding the estate of a member of the English House of Lords. An ex-IMF agent is murdering retired colleagues in "Reprisal," and Jim has to race the clock to prove that it isn't him. The team hunts for the creator of a computer virus capable of sinking naval vessels in "Submarine." The season ends with "Bayou," where a New Orleans jazz club owner is accused of owning a white slavery ring. The packaging for this set is the pretty standard CBS DVD style packaging, with the standard Viva case. 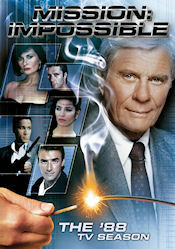 On the cover, we have a large photo of Peter Graves, along with several smaller pictures of the IMF agents. There are more of these photos on the back, along with a brief description of the series. Inside the case, there is a listing of all of the episodes, along with a brief description. There are four discs in the set, with the first four discs containing four episodes each, and the fifth disc containing three episodes. The disc artwork is just a plain gray background with the series logo imprinted on it. The menus aren't very exciting, but they are perfectly functional. The main menu on each disc has a large photo of a different character for each disc, and a list of the episodes on the disc, along with a Subtitles option. That is all there is on the menu; not even a Play All option. Once you select an episode, it plays immediately. There are chapters placed within each episode. The video and audio quality of this set looks fine, for the most part, but it definitely suffers from the low-production quality of the series. For those who are unaware, even though this series aired on ABC, it was done with a very low budget, and on top of that, all of the episodes were filmed in Australia. The episodes look a bit aged and unrestored, but they haven't really suffered too much. As for the audio quality, it is a very loud and clear stereo track. In fact, many of the episodes actually even have the original ABC stereo logo on them! Each episode contains English subtitles. There are no special features to be found on this set. It would have been nice to have heard from some of the production crew, particularly given how this series came about on the heels of a writer's strike and was produced so inexpensively. I had no idea what to expect prior to seeing this series (this was my first time ever seeing this version of the series), but it is surprisingly a great series. Many similar series that were reprised in the 80s almost seemed a bit contrived and try to recopy the past a bit too much, but this one is surprisingly fresh for a reprisal, and it amazes me that it didn't do a better job of catching on with fans. The series has a very modern (as in 80s modern) feeling to it and virtually all of the episodes in it have great story lines. The series only ended up lasting two seasons, so hopefully we'll get to see the rest of the series in a follow-up release sometime in 2012. All in all, this is a mission that fans should accept! Museum of Broadcast Communications - We've mentioned this site often throughout our website, but the website for the Museum of Broadcast Communications in Chicago is more than just a promotional website for a museum. While you will find valuable information about the museum (which is currently in the process of moving to a new site after being without a home for a while) on this site, it provides a tremendous amount of content that will keep TV fans occupied for quite some time. Among this content, you'll find their Encyclopedia of Television, which contains over 1000 scholarly (yes, scholarly) essays about TV series past and present. You'll find plenty of unique content here, complete with citations. But one of the best parts is the Museum Archives, where you will find 1000s of hours of classic TV, radio, commercials, and more. There is a lot to explore on the website, and we would encourage you to start on the main page... and you may be there for a while! As we first broke on Twitter, the CBS freshman sitcom 2 Broke Girls will air at a special time on Monday, Dec. 12 at 8/7 central. It will be an all-new episode, too. A repeat will follow in its regular 8:30pm timeslot. So why is it airing at 8pm on this night? We have two reasons. One is to perhaps test how it does on its own leading off. The second is regularly scheduled How I Met Your Mother premiered on Sept. 19 with two episodes, so it has one more episode aired than the other CBS Monday comedies. It could be a mix of both, but I think it has more to do with Mother having aired an extra episode. Either way, it'll be interesting to see if 2 Broke Girls could match or even do better in the ratings than Mother. For the week of November 28-December 2, 2011, we have many current sitcom stars and past sitcom stars on TV talk shows! All times listed are Eastern. So get your DVR's (or whatever you use) ready! Ready? Here is all what you need to know for the coming week! Kirstie Alley (Cheers/Veronica's Closet) - Watch Kirstie on The Tonight Show with Jay Leno at 11:35pm on NBC. Damon Wayans, Jr. (Happy Endings) - Catch Damon on The Tonight Show with Jay Leno at 11:35pm on NBC. Zooey Deschanel (New Girl) - Zooey appears as a musical guest with She & Him on The Tonight Show with Jay Leno at 11:35pm on NBC. Betty White (Hot in Cleveland/The Golden Girls/The Mary Tyler Moore Show) - The legendary Ms. White drops by Late Night with Jimmy Fallon at 12:37am on NBC. Nancy Travis (Last Man Standing/Becker/The Bill Engvall Show) - Nancy chats with the ladies of The View on ABC at 11am ET/10am CT-PT and later she will be on The Joy Behar Show at 10pm on HLN. Neil Patrick Harris (How I Met Your Mother/Doogie Howser, M.D.) - Neil guest co-hosts LIVE! with Kelly all week, so check your listings. Sarah Hyland (Modern Family) - Tune in to see Sarah on The Ellen DeGeneres Show, so check listings. Roseanne Barr (Roseanne) - Watch Roseanne on a repeat of The Rosie Show at 7pm on OWN. Tracey Gold (Growing Pains) - Tracey visits ABC's Good Morning America between 7-9am. Melissa McCarthy (Mike & Molly) - Melissa sits down with Anderson Cooper for a personal interview on Anderson, so check your local listings. Jay Mohr (Gary Unmarried/Action) - Catch Jay on The Tonight Show with Jay Leno at 11:35pm on NBC. Margaret Cho (All-American Girl) - Margaret visits the Late Late Show with Craig Ferguson at 12:37am on CBS. Betty White (Hot in Cleveland/The Golden Girls/The Mary Tyler Moore Show) - Betty continues to make the rounds on LIVE! with Kelly, so check your listings and later she will be on Comedy Central's The Daily Show with Jon Stewart at 11pm. Jaime Pressly (I Hate My Teenage Daughter/My Name Is Earl) - Jaime stops by Chelsea Lately on E! at 11pm. I Hate My Teenage Daughter premieres on Fox on November 30. Valerie Bertinelli (Hot in Cleveland/One Day at a Time) - Valerie drops by ABC's Good Morning America between 7-9am and later drops by The Joy Behar Show at 10pm on HLN. Kristen Johnston (The Exes/3rd Rock From the Sun) - Kristen is a guest on The Joy Behar Show at 10pm on HLN. The Exes premieres on TV Land on November 30. Steve Harvey (The Steve Harvey Show) - Steve appears on ABC's Good Morning America between 7-9am. Richard Lewis (Curb Your Enthusiasm/Anything But Love) - Richard chats with the ladies of The View on ABC at 11am ET/10am CT-PT. Bill Cosby (The Cosby Show/Cosby/The Bill Cosby Show) - Watch the legendary Mr. Cosby on The Tonight Show with Jay Leno at 11:35pm on NBC. Raini Rodriguez (Austin & Ally) - Raini (the older sister of Modern Family's Rico Rodriguez) is a guest on The Tonight Show with Jay Leno at 11:35pm on NBC. Austin & Ally premieres on the Disney Channel on December 2. Jim Parsons (The Big Bang Theory) - The Emmy winner Jim drops by Jimmy Kimmel Live! at 12am on ABC. Jeremy Piven (Entourage/The Ellen Show) - Jeremy chats with the ladies of The View on ABC at 11am ET/10am CT-PT and later he will be on Late Night with Jimmy Fallon at 12:37am on NBC. Jaime Pressly (I Hate My Teenage Daughter/My Name Is Earl) - Jaime appears on LIVE! with Kelly, so check your listings. Kristen Johnston (The Exes/3rd Rock From the Sun) - Kristen continues to make the rounds on LIVE! with Kelly, so check your listings. Lisa Kudrow (Friends) - Lisa appears on a repeat of The Rosie Show at 7pm on OWN. Nancy Travis (Last Man Standing/Becker/The Bill Engvall Show) - Nancy cooks on ABC's The Chew at 1pm ET/12pm PT-CT.
Doris Day (The Doris Day Show) - Doris is a guest on ABC's Good Morning America between 7-9am. Tracey Gold (Growing Pains) - Tracey continues to make the rounds on Anderson, so check your local listings. Melissa McCarthy (Mike & Molly) - Catch the Emmy winner Melissa on The Tonight Show with Jay Leno at 11:35pm on NBC. Zooey Deschanel (New Girl) - Zooey appears as a musical guest with She & Him on The Ellen DeGeneres Show, so check listings. Wanda Sykes (The New Adventures of Old Christine/Wanda at Large) - Wanda is a guest on a repeat of The Rosie Show at 7pm on OWN. Mark-Paul Gosselaar (Saved by the Bell) - Mark-Paul visits The Talk on CBS at 2pm ET/1pm CT-PT. Ana Gasteyer (Suburgatory) - Watch Ana on the Late Late Show with Craig Ferguson at 12:37am on CBS. Maya Rudolph (Up All Night) - Maya stops by NBC's Today between 7-9am. Then she appears on LIVE! with Kelly, so check your listings. Finally, she visits Late Night with Jimmy Fallon at 12:37am on NBC. Brett Butler (Grace Under Fire) - Brett is a guest on a repeat of The Rosie Show at 7pm on OWN. Happy Thanksgiving to you all! We thank you for visiting us on this special day and every other day, all-year. We also are very thankful that you all will continue to visit every single day and making this blog a continued huge success. We get thousands of visitors every day (even on weekends). So, we thank you for the growth each year! It is simply amazing and I can't believe it has been over 6 years now of posting on this blog every single day no matter what! No days off! We have told you about many of the sitcom related marathons already in our regular news stories. 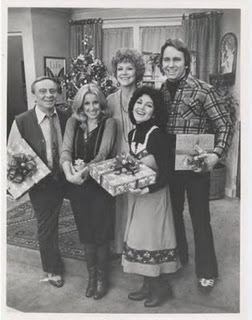 Our pick of the weekend is the Three's Company marathon today (Thanksgiving Day) from 1pm-1am ET on Antenna TV! Non-stop laughter with episodes featuring all three blondes--Chrissy, Cindy and Terri. TV Land has its annual Overstuffed Weekend with a marathon of The Andy Griffith Show on Thanksgiving Day from 8am-6:30pm. The fun continues all weekend long with a marathon of Hot in Cleveland. Nick at Nite has a Friends marathon that started last night and will run through Sunday night, all-night long. BET and Centric have sitcom marathons today through Sunday. Centric will feature a Proud Family marathon today from 9am-6am, while sister network BET will feature a My Wife & Kids marathon from 8am-6pm. BET then will air a marathon of original sitcom Read Between the Lines from 6pm-1am tonight. On to Friday, BET has The Parkers marathon from 8am-12am, while Centric will present a Sister, Sister marathon from 9am-6am. Then the weekend will feature a Steve Harvey Show marathon on Centric, while BET will have a marathon of Everybody Hates Chris on Saturday and Bernie Mac on Sunday. MTV2 will feature a Martin marathon today from 3pm-9pm. And New York City is lucky to have a marathon again of The Odd Couple today on WPIX from 11am-5pm! So yeah we told you about all these already either recently or many moons ago. We didn't get a chance to mention IFC's Arrested Development Thanksgiving Day marathon airing today from 6am-6am. Tomorrow they will also feature a Malcolm in the Middle marathon but from 6pm-10pm. TV Guide Channel will present a Designing Women marathon today from 3pm-8pm, following Thanksgiving episodes of their various series from 11am-3pm. While MTV2 has a Martin marathon, TV One will feature an earlier marathon from 6am-4pm. TBS has a Tyler Perry marathon tomorrow starting at 9:30am with his movies, House of Payne and Meet the Browns, along with new series For Better or Worse. GMC on Saturday will feature its regular Sister, Sister and 227 blocks, but a Cosby marathon will follow from 4pm-7pm. And Oxygen has a Roseanne marathon from 7am-7pm. There are a lot of sitcom marathons this season! Non-sitcom wise, we told you about SOAPnet's Walker Family Thanksgiving Marathon with a marathon of Brothers & Sisters today from 5pm-1am. ION Television has a Criminal Minds marathon tomorrow from 4pm-3am. INSP has marathon of The Big Valley tomorrow. For things we haven't told you yet, USA Network will have a NCIS marathon today starting at 10am, while a Bones marathon airs on TNT from 10am-8pm, followed by CSI: NY in primetime from 8pm-2am. Other notables for Thanksgiving Thursday include a Star Trek: The Next Generation marathon on BBC America starting at 8am, a Buffy the Vampire Slayer marathon on Chiller from 6am-4pm, a Firefly marathon on Saturday on Science Channel, and a The Waltons marathon on GMC from 12pm-11pm. We also have a Deal or No Deal marathon on GSN from 8am-12am, a Law & Order: Criminal Intent marathon on Oxygen from 7pm-2am, American Guns marathon on Discovery Channel, Top Chef marathon on Bravo from 6am-12pm, Cake Boss marathon on TLC, Supernanny marathon on style, and many many movies marathons on networks like ABC Family, Chiller, Cloo, Lifetime, ReelzChannel, and Syfy's James Bond Movies marathon. VS. has a Rocky movie marathon. Check out more TV marathons on Thanksgiving weekend, from our friends at TV Tango! And don't forget classic holiday specials, as tonight at 8pm on ABC the holiday classic A Charlie Brown Thanksgiving airs. It's an annual tradition to watch! Can't get enough of old Chuck! If you haven't seen it already, view our 2011 Network TV Holiday Specials and Movies Guide, so you don't miss anything on network TV this holiday season. This morning & Friday morning, watch MeTV for the "MeTV Merry-Thon" special. Classic cartoons, including Casper's Haunted Christmas, The Little Drummer Boy and A Snow White Christmas will air. And also view our ABC Family 25 Days of Christmas schedule, because that is the place to be as always during the holiday season with classics like A Flintstone Christmas and Mickey's Christmas Carol and soooooooooo many more! NBC has picked-up a full season of the new Friday drama Grimm. The series has surprisingly done decently for a Friday, either winning its time period or coming in second place over its four airings to date. As a result, NBC has picked-up a full 22 episode season for the series. NBC will also air an all-new episode on a special night and time on Thursday, Dec. 8 at 10pm to try and expand its audience and drive more tune-in to its regular Friday airings. The series has averaged about a 1.8 rating among adults 18-49 in live+same day data. Also at NBC, two more episodes of new comedy Up All Night have been ordered, bringing the number of episodes from 22 to 24. The single-camera starring Christina Applegate, Will Arnett and Maya Rudolph was picked up for a full season early last month, as we mentioned. The series will be moving to Thursdays after The Office starting January 11. After a decent start, the comedy has plunged in the ratings but NBC will give it a boost by moving it to another night and time. Will it work? We shall see. 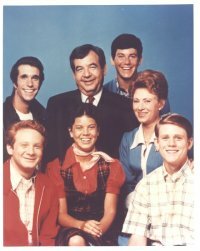 INSP has acquired the rights to air the classic sitcom Happy Days and the family drama Little House on the Prairie. Both programs will start airing in January, 2012. The new programming kicks off with the Little House on the Prairie "Premiere Marathon" on New Year's Day (Sunday, Jan. 1) starting at 1pm. We'll have more on its regular timeslots at a later date. One, two, three o'clock, four o'clock, rock...jukeboxes...sock hops....poodle skirts...rockin' and rollin' all week long, those Happy Days are here again – on INSP starting Monday, Jan. 2! 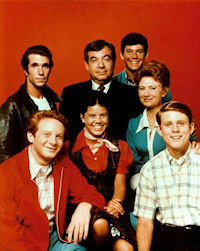 Fonz and the gang will join the weekday line-up on Jan. 2, airing weeknights at 6pm. These two series will join the INSP schedule that already consists of classics like The Brady Bunch, Our House, The Big Valley, The Waltons, and Dr. Quinn Medicine Woman. All of those series are still expected to remain on the schedule, but we will bring you that full January 2012 schedule as soon as INSP is ready to announce it! So hang tight, but get ready for these two classics! Elsewhere on INSP, this holiday season they will showcase many holiday episodes from their series. First, "The Young Whippersnapper Marathon" airs Friday, November 25, 2011 (Black Friday) from 2PM-2AM and will feature Regis Philbin, William Shatner, Richard Dreyfus, Adam West and MORE in The Big Valley: Young Whippersnappers Marathon. The Waltons: The Children's Carol will air on Saturday, December 17 at 8:00pm ET/5:00pm PT and again on Friday, December 23 at 8:00pm ET/5:00pm PT. You can also catch Christmas episodes from the other INSP series on Thursday, December 22 starting with The Waltons at 1:30pm, then The Brady Bunch, The Big Valley, Dr. Quinn, and Our House in their normal time periods. A Wind At My Back Christmas airs on Sunday, December 11 at 1:00pm ET/10:00am PT, Sunday, December 11 at 12 midnight ET/9:00pm PT, and Friday, December 23 at 2:00pm ET/11:00am PT. And finally, movies airing this holiday season are The Man Who Saved Christmas, The Christmas Box, The Christmas Secret, A Town Without Christmas, An Avonlea Christmas, and The Perfect Gift. Stay with us for further updates on INSP, including more on the January 2012 schedule. Sit on it and stay with us! It wouldn't be a holiday in New York without the PIX11 Yule Log! The Yule Log, the famous film loop of a burning log in a hearth, has warmed the hearts of viewers since it debuted on WPIX in 1966. To celebrate the fabled fire stick's 45th anniversary, WPIX-11 will air The Yule Log (available in HD) from 9am-1pm on Christmas morning, Sunday, December 25, 2011. Viewers can follow the Yule Log on Twitter @PIXYULELOG and become a fan of the Official Yule Log on Facebook (PIXYuleLog). Log merchandise (including "Nice Log!" and "That's HOT!" boxer shorts) can be found at CafePress. In recent years, The Yule Log has been digitally re-mastered and fully restored. In 2001 the original film was color corrected and cleaned. In 2003, the Log was up-converted to High Definition and PIX11 now airs The Yule Log in HD. In 2006, to celebrate the Log's 40th anniversary, Lawrence F. "Chip" Arcuri and Joe Malzone, the creators of theyulelog.com, restored the audio of The Yule Log and in 2009, with the assistance of "Chip" Arcuri, PIX11 added a new fourth hour to the program, including 23 classic holiday songs. The fourth hour leads off with Mantovani's interpretation of Adeste Fideles, a classic that aired on the Yule Log in the late 1960's, now restored back to the program. The new hour adds 9 artists including Bert Kaempfert, Mitch Miller, Bing Crosby, Vic Damone and Johnny Mathis. Not in NY? That's fine! In addition, the PIX11 Yule Log will be airing on the following Tribune Broadcasting Stations on December 25: WXIN/Indianapolis 6-10am, WGN/Chicago 2-5am, WPHL/Philadelphia 7a-11am, WDCW/DC 11:30a-1:30p, KZJO/Seattle 7a-11am, WSFL/Miami 9-11am, WPMT/Harrisburg 5-10am, and WXMI/Grand Rapids 11-11:30am. KRCW/Portland: Universal Sports/NRCW/32.3 will air the Yule Log for 24 hours straight, starting at midnight on Saturday, December 24 and ending at midnight at the end of the holiday on December 25. KTXL/Sacramento will air the Yule Log on their digital subchannel 40.2 beginning at 8pm on Saturday, December 24 through 8am on Sunday, December 25. And nationally you can watch it on Antenna TV from 3-7am ET. Also of note WPIX, will air the classic film March of the Wooden Soldiers on Sunday, Dec. 25 from 1-3pm following The Yule Log. Before all that, on Christmas Eve, WPIX will air a Christmas episode of The Odd Couple at 11pm leading into a Christmas episode of The Honeymooners at 11:30pm. What better way to wait up for Santa! And finally, on Sunday, December 31 starting at 11pm, it will be PIX11's Annual Honeymooners Marathon with 19 hours (38 episodes) of non-stop fun! More info will be coming on this soon, so stay with us! To the moon! Late on Friday ABC announced most of its midseason 2012 schedule. We already knew that The Bachelor is returning on Monday, Jan. 2, 2012 to kick-off the midseason line-up, but now we know much more. On Tuesday, Jan. 3, ABC will premiere new multi-camera sitcom Work It at 8:30pm following Tim Allen's Last Man Standing at 8pm. Work It will be replacing Man Up!, which will not be moving forward after its 13 episode order. It is unclear if all 13 will end up airing, but as of now 8 are scheduled to air with the eighth one scheduled for Dec. 6. Should ABC decide to burn the rest of them off in December, eleven episodes should air so two would still remain to be aired. We'll keep an eye on this of course and let you know. Back to midseason, also on Tuesday, Jan. 3, ABC will air a celebrity version of Wife Swap titled Celebrity Wife Swap on Tuesdays at 9pm in January. Six episodes were ordered, but as of now only 4 will air, as one week in late January will be the State of the Union. Come Tuesday, Feb. 7, ABC will premiere the much anticipated new drama The River at 9pm for seven weeks (eight episodes, so one week will be two-hours). Promos for the drama have started and have been airing all weekend, so watch that here. The drama will be keeping the timeslot warm for Dancing with the Stars: The Results when it returns Tuesday, March 27 (more info on this below). ABC will have a winter edition of Wipeout ready to go starting Thursday, Jan. 5 at 8pm (in addition to the Deck the Balls holiday episode airing on Dec. 8). About eight episodes have been ordered, but it will be scheduled for ten weeks, so a repeat or preemption will be in there. Starting Thursday, March 15, the timeslot will be given to new drama Missing starring Ashely Judd. The new drama has an episode order for 10 episodes, so it will air for the rest of the season. Moving on to Fridays, ABC will air an all-new season of the hit reality series Shark Tank on Friday nights at 8pm starting Friday, Feb. 3, as 13 episodes were ordered (ten with Mark Cuban as a shark). We assume Extreme Makeover: Home Edition will be trimmed down to an hour and will air at 9pm, but we're still confirming that. ABC also has new episodes of the popular series Primetime: What Would You Do? they can air sometime this midseason. On to Sundays, ABC has ordered an extra episode of Pan Am, so 14 episodes will air this season and it remains in contention for a second season, though we won't know its fate until upfront. The freshman drama will air through February (finale likely on Feb. 19), with new drama GCB starring Leslie Bibb and Kristin Chenoweth starting Sunday, March 4 at 10pm. ABC has ordered 10 episodes of this drama and will air it through May 6 likely, with the Desperate Housewives series finale event likely happening on May 13. Promos for this new drama has been airing randomly this fall, watch it here. Read more about the ABC midseason 2012 schedule that was announced and stay with us for further information as soon as we get it! Yahoo! TV has an exclusive first look at the full premiere episode of the upcoming TV Land original sitcom The Exes before it airs! TV Land is poised to launch this new comedy starring veteran actors Donald Faison (Scrubs), Kristen Johnston (3rd Rock from the Sun) and Wayne Knight (Seinfeld) about starting over after a divorce. The Exes centers on Stuart (David Alan Basche), a newly divorced man whose divorce attorney, Holly (Johnston), helps him move in with two other divorced guys, Phil (Faison) and Haskell (Knight). Holly's assistant, Eden (Kelly Stables), keeps an eye on Holly's work schedule -- and personal life. Oh, and did we mention Holly is also the landlord of the guys' building and lives right across the hall? Let the old-school sitcom hi-jinks ensue! See the premiere in its entirety before it premieres ob TV Land on Wednesday, November 30 (at 10:30pm following the third season premiere of Hot in Cleveland) only on Yahoo! TV. As we broke on Digital Digest, in a landmark deal, all-new episodes of the Emmy Award-winning comedy series Arrested Development will be coming exclusively to Netflix for its U.S. members to watch instantly, beginning in the first half of 2013. For the first time in their histories, Twentieth Century Fox Television and Imagine Television will produce original first-run entertainment content for the world's leading internet subscription service, bringing back the acclaimed series to production on all-new episodes five years after its cancellation on Fox. One of Time Magazine's "100 Best TV Shows of All-TIME," the tale of the formerly wealthy, deeply eccentric Bluth clan aired for three seasons, 2003-2006, on Fox and was honored with the Emmy award for Outstanding Comedy Series after its first season on the air. 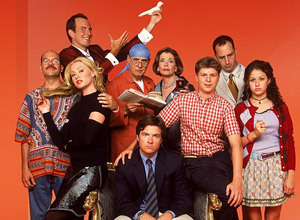 The Emmy-winning comedy had its final broadcast on February 10, 2006 and concerned Michael Bluth (Jason Bateman) and his eccentric family comprised of his son George Michael (Michael Cera), his father George Bluth Sr. (Jeffrey Tambor), his mother Lucille (Jessica Walter), his brothers George Oscar Bluth II (Will Arnett), Buster Bluth (Tony Hale) and sister Lindsay Funke (Portia de Rossi), and Lindsay's husband Tobias (David Cross) and their daughter Maeby (Alia Shawkat). 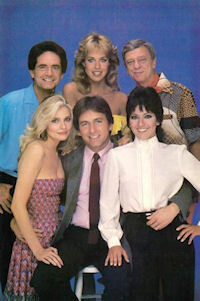 Henry Winkler and Scott Baio also appeared on the series. We will have more on this as we get near 2013, but the Bluths are coming back!